Print on print–you either hate it or love it. I obviously like it. I like it because I think it says so much about fashion and style–how fashion can be so much fun, unconventional and out of the box. Print on print says loud and proud that there really is no such thing as fashion formulas. The possibilities are limitless! All you have to do is open your mind, put a little imagination and experiment! we have the same necklace. mine’s only white. oh my, so happy!! very nice mix of styles and colors! you look gorgeous camille! btw, I do have a question.. which is a best choice a chloe party bag or a balenciaga giant 21 gold city? I’m planning to purchase one but I’m torn! need your advice. Thanks a lot! You have pulled off the dress really well!! Collaboration of two prints looks amazing!! girly and edgy at the same time :) AWESOME! <3 again, I love your bag! I love your fashion taste, inspired me alot! You’re definitely gonna be my favorite fashion blogger! Congratulations! Based on our team’s research, you’re one of the deserving Filipino celebrities to be on our list of 2012’s Top Philippine Fashion Bloggers Who Are Celebrities. can i follow ur height hehehe..
We have the same dress! Crap, would’ve loved joining your Cotton On giveaway would I have been able to go to MoA on the 7th. Love your print on print ensemble. Btw, been trying to call the posted landline number for MTO appointments but its not ringing. i would never have thought to pair these two prints together, but they look so good on you camille! I really want to but all my friends reacted violently when I suggested it haha! I’m so in love with your bag..!! 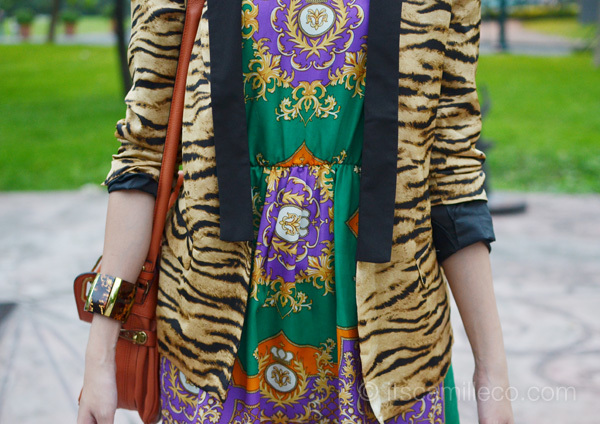 :) ..cool how you combine those two prints together.. really nice :) keep posting, love your blog. 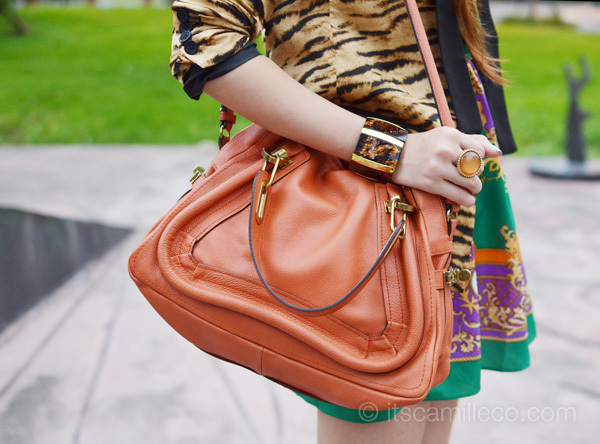 B.
vintage scarf print + animal print = out-of-the-box-outfit :-) with black booties and orange bag ( if i’m right ) = Camille Co. you’re the only person i know na magagawa yan perfectly. :-) claps claps again. Hi! I bought the Preview issue because of you! Haha, I don’t normally buy it. I loved the articles. I was there when you were just beginning your blog and I’m very happy with what you’ve achieved. I hope you won’t change unlike some bloggers who become “elitists” once they’re on the top tier. Re: Kryz, I don’t know why haha! I would’ve loved it too. I love print on print and you did an amazing job.Thanks for all the ideas that you give us.You’re such an inspiration. I’m always unsure when I choose prints to buy and mix and match… combination of colors is hard enough. What is your basis for “judging” a good pattern or color outfit combo? HEHE I love it! Ohhhh ok! =))) Btw, how do you stay confident on your color, pattern, or outfit choices when sometimes what we think that looks good may not look good to others? I love the combination!! It’s soooo funky! :) And btw, your shoes are drop-dead gorgeous!! This is hard for me to pull off b/c it’s so “unnatural” but I feel so inspired & definitely want to venture out and put looks like this together in the future! Love thinking out of the box. Rock it girl! :) This is my 1st time on here, but I’m def coming back. Thanks for the inspiration!